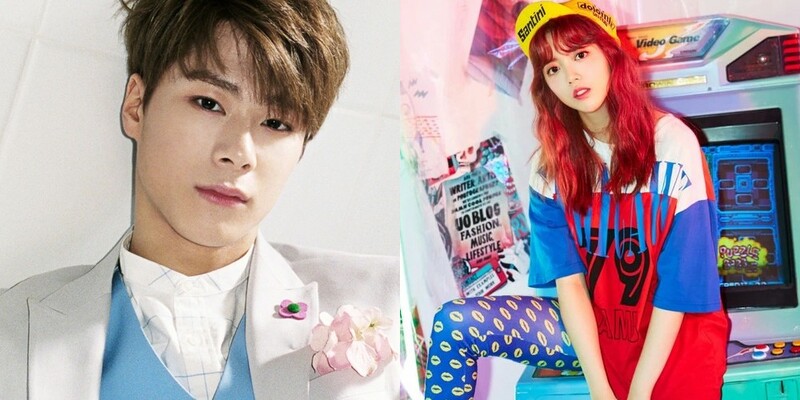 ASTRO's Moonbin and Weki Meki's Suyeon will be up next for the next Fantagio Music project 'FM201.8'. The pair will be the 4th in the project, and they'll be releasing a sweet love song titled "Language Domain". The song is a realistic quarrel between lovers that has a sweet storyline and is a neo soul genre. Moonbin and Suyeon are not only labelmates, but also friends who attended the same school. They'll be collaborating for the first time through 'FM201.8'. The duet will be out later tonight on the 30th at 6PM KST. Check out the album cover below.